Well, Destiny, that didn't take long. 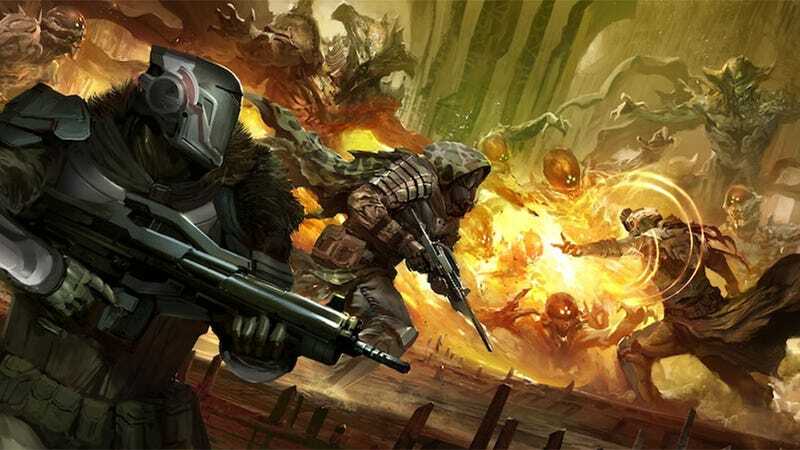 Speaking with Destructoid, Bungie's co-founder Jason Jones says something that anyone reading this with mouse in hand at keyboard at front might find a little... weird. Interviews are funny things. You could argue that the "nobody plays shooters the way they used to play them" bit applies to the design changes made, and he just threw the mouse & keyboard comment in there at an inopportune time. Let's hope that's the case. You may have noticed already that the game, the studio's first effort since leaving the Halo franchise behind, has been announced for consoles and not the PC. UPDATE - I originally wrote this post having read a little too much into Jones' statement, particularly the "mouse & keyboard" stuff. It's since been edited.